No doubt, lots of players like Pac-Man, the cute game character. 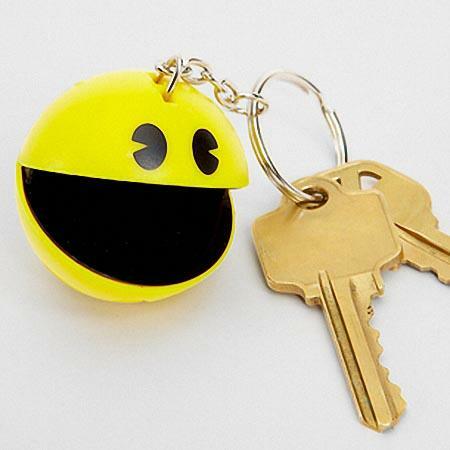 If you’re also a faithful fan of Pac-Man who want to keep him around you, the following talking Pac-Man keychain will be an ideal solution.This is an interesting keychain themed by Pac-Man, one of the most classic arcade games. The keychain measures 1.5 x 1.5 inches, and as we can see from the images, the keychain is shaped as an full 3D Pacman, and features accurate colors and iconic adorable expression. 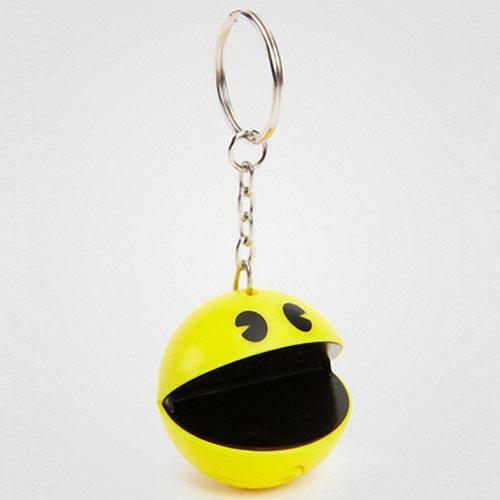 Most importantly, the Pac-Man keychain also comes with authentic Pac-Man sound effects in order that you can navigate the maze of life along with your favorite game character. Apart from that, the talking Pac-Man keychain is powered by 2x AG13 battery.The talking Pac-Man keychain is priced at $10 USD. If you’re interested, jump to fred flare for more details. Additionally, if you need other Pacman inspired gadgets, you might like to check the RC Pac-Man and Ghost.